Every year we take a trip down to Cape May in New Jersey. If you have never visited this coastal town it's really a beautiful place to visit. There is always something to see, do or experience in Cape May. While it is a south Jersey Shore destination in the summertime...it's bustling with activity year round. Today...I am going to share some miscellaneous sites to see around Cape May. These are some of the things you might want to see or do while visiting. 1. Cape May Welcome Sign - This sign is actually located in town. It's like a billboard representing several different local businesses. It's an iconic sign and you will often see tourists stopping to take photos of it or them standing in front of the sign. 2. Historic Cape May Water Tower - The water tower can be see from a lot of different locations around town. It's considered to be a national historic landmark. All of the south Jersey coastal towns & cities have these water towers and again....tourists love to stop by and take pictures of them. 3. The Town Clock - The tourists often refer to the clock tower that sits in the middle of the Washington Street Mall as "The Town Clock" or the "Cape May Town Clock". The Washington Street Mall is the ONLY "real" mall in the city limits of Cape May. It's open year-round but during the summer tourist season...it gets extremely busy. We love visiting the mall around the holiday season when all of the store fronts decorate for the holiday. Really beautiful! 4. 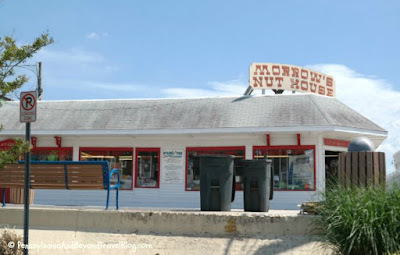 Morrow's Nut House - is located on Beach Drive in Cape May. Beach Drive runs along the coastline so you can't miss it if you are driving by. 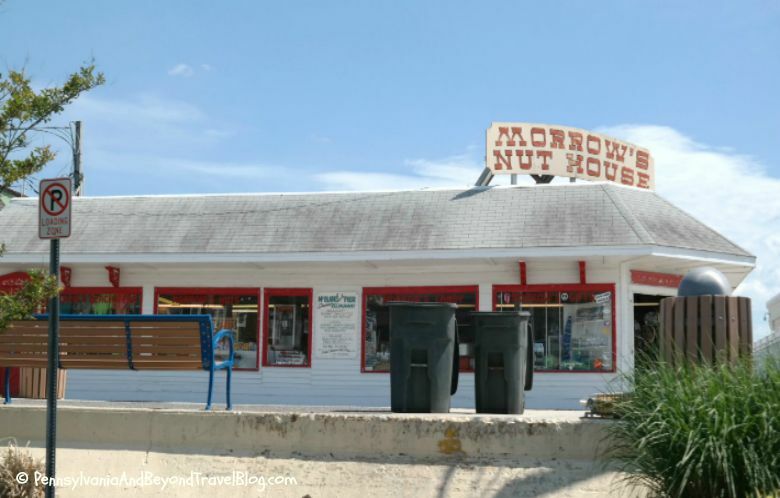 Morrow's Nut House sells all kinds of delicious nuts, homemade fudge, saltwater taffy and other candies. They have a second location which is in the Washington Street Mall. 5. Cape May Lighthouse - The lighthouse can be seen for miles away and is one of the biggest tourist attractions in Cape May. You will find it at the Cape May Point State Park which has free parking, a visitor's center, beach access and nearby beach walk. Everything is FREE except for the lighthouse itself...which charges a small admission fee to enter and climb all of the steps to the top. 6. Guardian Gift Shop & Consignment Store - Every time I visit the area I love to go shopping at the Guardian which is classic-style gift shop with sun catchers, clothing, souvenirs, etc. Right beside the Guardian is a boutique style clothing consignment shop if you are looking for items of that nature. There is a metered-parking lot across the street for you to park in. I can never find any nearby FREE parking, so I always pay to park. These are just 6 miscellaneous things you can see and do while visiting Cape May in New Jersey. 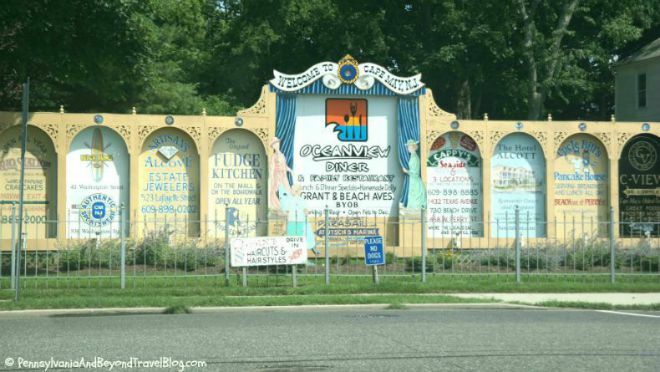 If you want detailed lists of Cape May attractions...take a peek in my New Jersey sections here on my travel blog for 100's of different posts! We love Cape May and think you will too! Note: Click on each image in this post. It will open in a new window and in an enlarged size so that you can view all of the details up close! I remember some of these sites from past posts. My new favorites to see if I get to Cape May are the Guardian Gift Shop & Consignment Store and Morrow's Nut House.